The Israeli Right first came to power nearly four decades ago. Its election was described then as 'an earthquake', and its reverberations are still with us. How then did the Right rise to power? What are its origins? 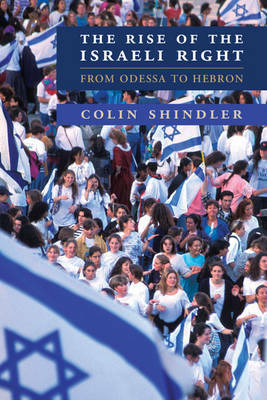 Colin Shindler traces this development from the birth of Zionism in cosmopolitan Odessa in the nineteenth century to today's Hebron, a centre of radical Jewish nationalism. He looks at central figures such as Vladimir Jabotinsky, an intellectual and founder of the Revisionist movement and Menahem Begin, the single-minded politician who brought the Right to power in 1977. Both accessible and comprehensive, this book explains the political ideas and philosophies that were the Right's ideological bedrock and the compromises that were made in its journey to government.